Work continues without a pause on the locomotive, work has started on stripping down the bogies starting with the brake cylinders which have been removed and stored ready for overhaul, the brake shoes have been removed and rigging slacked off, and the bogie bolster centre-pin nuts have also been slackened off. 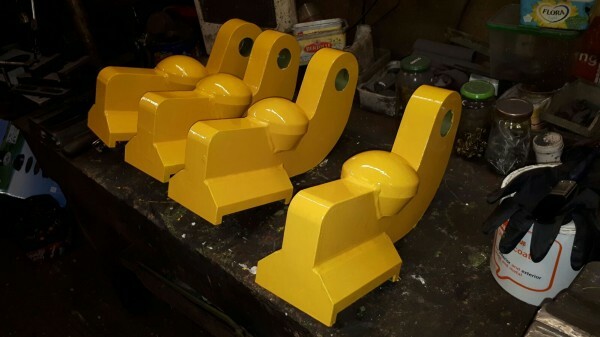 The sand boxes have been removed and fully restored and the missing sand filler caps have been fabricated from scratch. 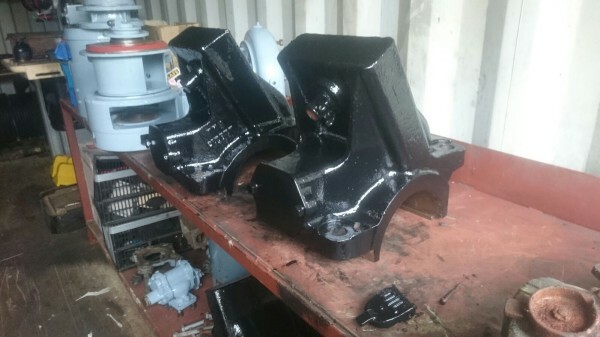 The under-keeps from the spare bogies have been restored and the traction motor bearing caps are now under restoration. 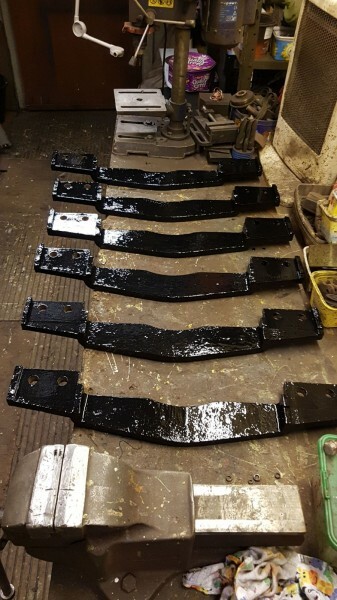 The new lifting brackets to lift the loco clear of its bogies were ordered by Chris Baily, they have been delivered, test fitted to which they fitted like a glove and painted up, they are now stored ready for the big day when the loco is lifted for the first time in decades. 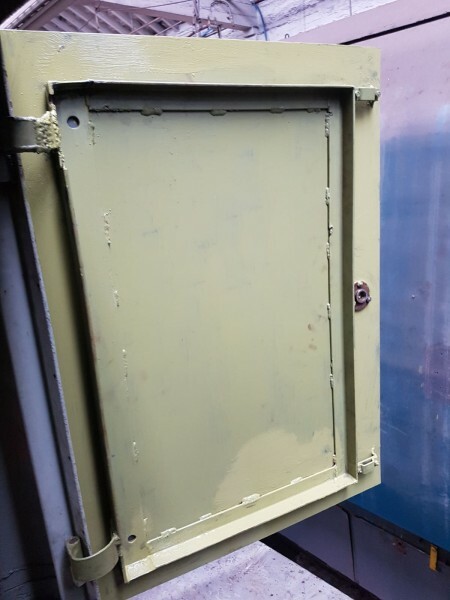 Work is also continuing on the small nose bodyside doors with some now reskinned and fitted, the job is almost complete, with only a few to be fettled and fitted, then work will commence with finishing off the long nose end where it sustained collision damage in BR days. On the Paxman 16YHXL engine there has been work on the fuel injectors with one being replaced and also as the engine has not been started for a long time, the decision was made to bar the engine over on a regular basis to keep it free and un-seized. Inside the loco the fire pull system is being overhauled and work on the electrical conduit is continuing, in the cab the DSD (deadmans pedal) is under fabrication as the originals were removed in BR days when the loco was converted to a heating unit as they were no longer needed. On the electrical cubical, plans and C.A.D. 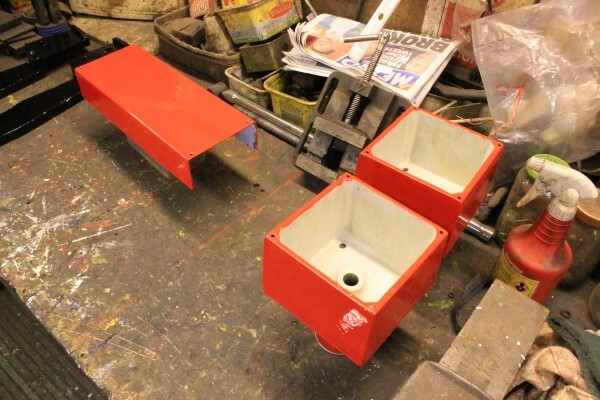 drawings have been received from Steve Foster for the fabrication of the mounting brackets for fitting the Automatic voltage regulator (or swiss watch as we call it) once this is fitted we will commence on the building up of the cubical. On the 28 th of October we held our annual general meeting at Bury Transport Museum, we welcomed Nigel Benning on to our committee as our Membership Secretary, we also elected three honorary members, the first is Simon Altham who was our previous chairman and instrumental in the saving of the last surviving 800hp B.T.H, without him, we wouldn't, and certainly D8233 wouldn't be here. 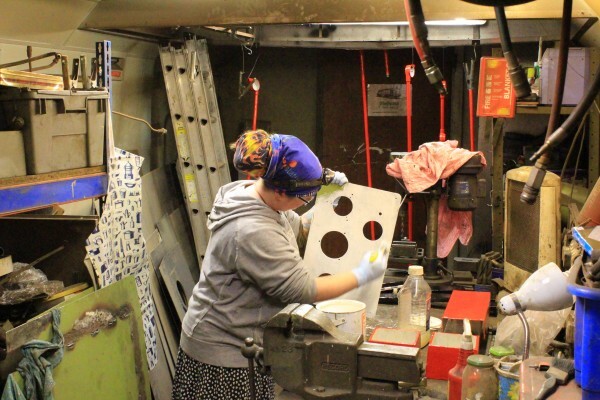 Secondly is Steven Leathers of the Little Loco Company who approached us two years ago with an interesting proposition – if we helped him recreate an accurate model of the class 15 he would donate money to the society. We assisted by forwarding plans and pictures, commenting on design features and C.A.D. drawings to get as accurate model as we possibly could. For our troubles the society has received over £7,500 from the Little Loco Company including the very first loco he ever produced which was auctioned off in July this year. Last of all is Chris Baily, for the thousands of volunteered man hours he put in, his leadership pushed the project forward from its forlorn state at Crewe, transportation to Bury and the strip down, fundraising, organising the rebuild of the long nose and generator and also acquiring a replacement V16 Paxman which helped us pass the memorable milestone in 2010 when it fired into life at Castlecroft proving to the doubters that they were wrong.